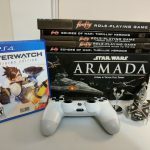 Last week, I wrote about my desire to get back into X-Wing Miniatures, and I commented that this week, I’d be talking about Star Wars Armada. 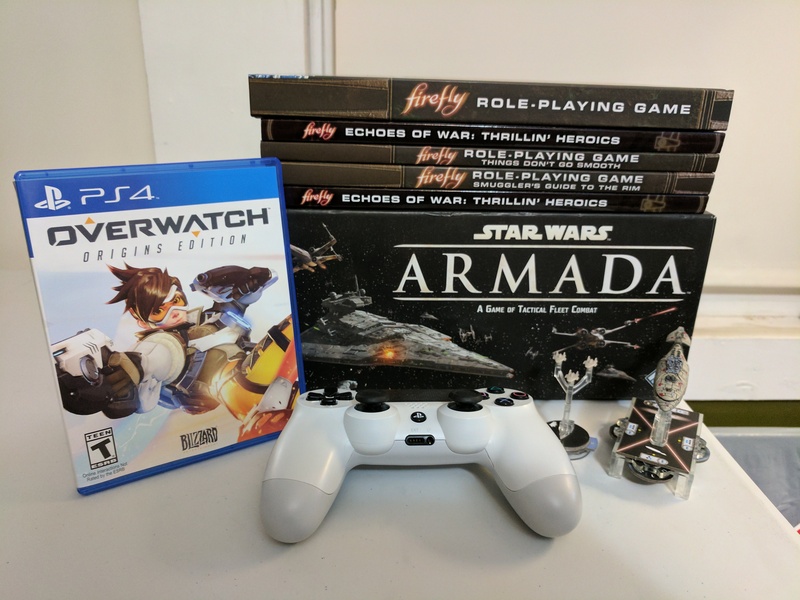 The thing is, I don’t have a full post on Star Wars Armada! So, instead, I decided to look at gaming in general, and what I’m looking to play and do over the next year. Today, I’m going to be looking at not only battling with capital ships, but also flying around the ‘Verse, and dusting off the Playstation 4. Note: Almost all links in this post are Amazon Affiliate Links, because I want my personal money to go into games, and not the blog. As I said, I don’t have much here to discuss. I am so far out of the loop on this game, it’s not even funny. Plus, the higher entry cost means I don’t know many people who play it! I do know that, since I wrote about the game close to this time last year (post here), I haven’t had a chance to do much, if any, playing. This means I have a fun game just gathering dust up in the office. So, I’m looking at expanding my Rebel fleet with the Rebel Fighter Squadron II expansion set (what can I say, I like the Ghost! ), the Phoenix Home expansion pack, and I’m also looking to expand the game with the campaign expansion, the Corellian Conflict, which looks to be interesting. Seriously, who doesn’t like Firefly and Serenity? Those who can’t accept joy into their cold, dead hearts, that’s who. While it’s been years since I hosted a game, I’ve had some good friends ask me to look into running this, either this spring or this summer, so I’ve got the books to flip through, and see what I can throw together. 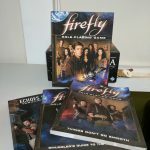 From the appearances, the game looks to try to play very much like an episode of the series, going so far as showing how each episode would work as part of the Core Book. 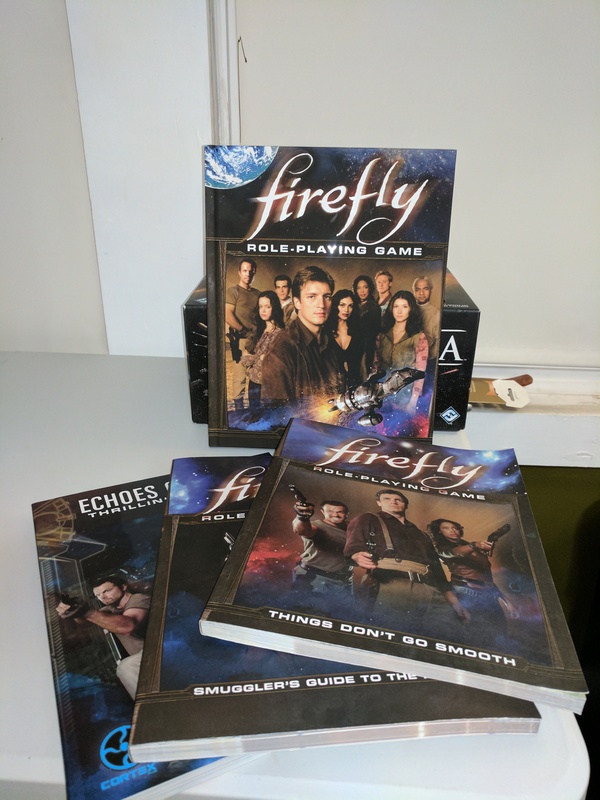 In addition, I also have the books of the Smuggler’s Guide to the Rim, Things Don’t Go Smooth, and Echoes of War: Thrillin’ Heroics (2 copies of that, in fact. Not sure how that happened!). Looking over Amazon, it looks like there’s also a book called Ghosts in the Black that I could pick up, if I like the system! I’m really looking forward to starting to dig into these and see what I can do, since I haven’t really ran anything since a D&D 3rd Edition game about eleven or twelve years ago, and I do like playing some characters who are ready to be bad guys. Finally, I’m going to look at something that doesn’t involve measuring tools, dice, or pencil and paper. Every now and then, I like to use the Playstation 4 for something other than Plex, Netflix, or Amazon Prime. Yes, every now and then, I’m able to use it for video games! I don’t have many for it, just Destiny, Star Wars Battlefront, Fallout 4, and my newest acquisition, Overwatch Origins Edition. I’m not much into online gaming, and this game shows me precisely why. I still haven’t actually played online yet, instead trying to get used to the separate characters in the Bot modes and training, but I know in the next couple of weeks, I have friends that are going to pull me into playing online in something that’s fairly frantic and, honestly, even more confusing to me than Halo 3, which was the last online shooter I putzed around with. However, I do need to get some play time with that, because in a little over a month, on March 21st, my pre-order for Mass Effect Andromeda is going to come in, and I’m going to fall in love with a new version of the Mako all over again! I am excitedly ready to meet a new group of characters, learn a new ship, and just generally lose myself into the story for a goodly amount of time. Or at least, as much time as I can afford to lose myself into it. I might have to take the next day off of work, which I have never done for a video game before, just to have the chance to play it and enjoy it. Now, these are my hopes. These are the things I really need to do, so I don’t lose my mind. Here’s hoping I can do them.